I just released a new version of my Minimum Order Amounts plugin for Shopp today. This new version finally supports version 1.3 of Shopp, and allows merchants to set a minimum quantity for each product in the catalog. The product minimums are separate from the storewide minimums, and both are checked before the customer checks out. You can find it in the WordPress Plugin Directory! I downloaded the updated version of the plugin. Min purchase for store is $40. Checked Order Total and set min at 40. 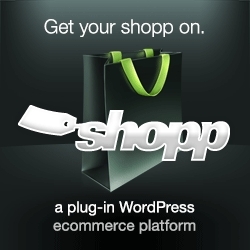 Running Shopp 1.3.5 and WP 4.01. Plugin works ok with orders under $40 (gives error msg to customer and prompts to add items)…But with orders over $40, the same error occurs. I’ve had to check Disable for now. Appreciate any advice. Thanks. Hey Rose, thanks for the heads up. I just fixed the problem and the update should be available shortly. Thanks Chris. Plugin works perfect now.